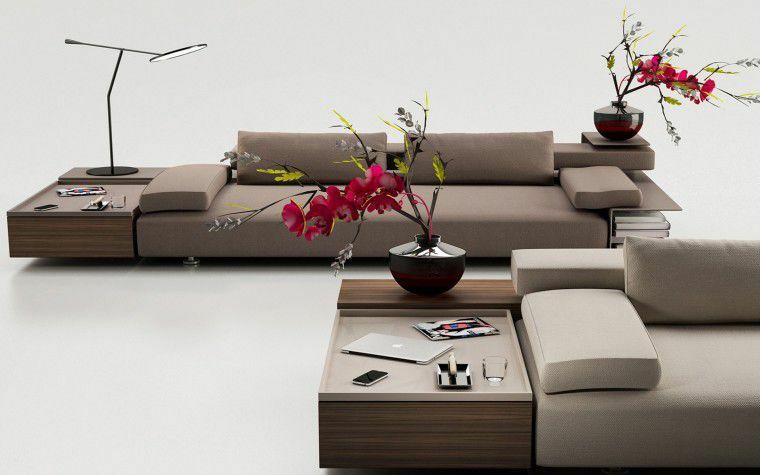 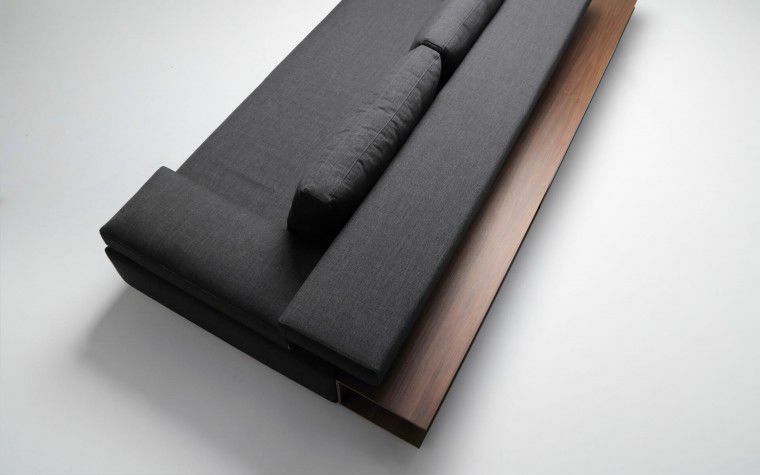 Christophe Pillet proposes a cunning sofa designed as a real pole relaxation within the living room. 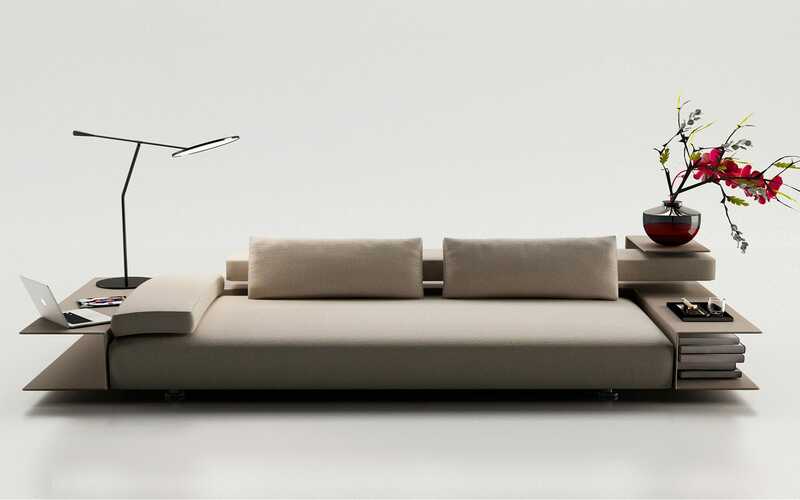 All in one, it is at the same time sofa, arrangement, reading corner, bookcase...This compact and practical piece of furniture does not forget to be elegant, sober and smart. 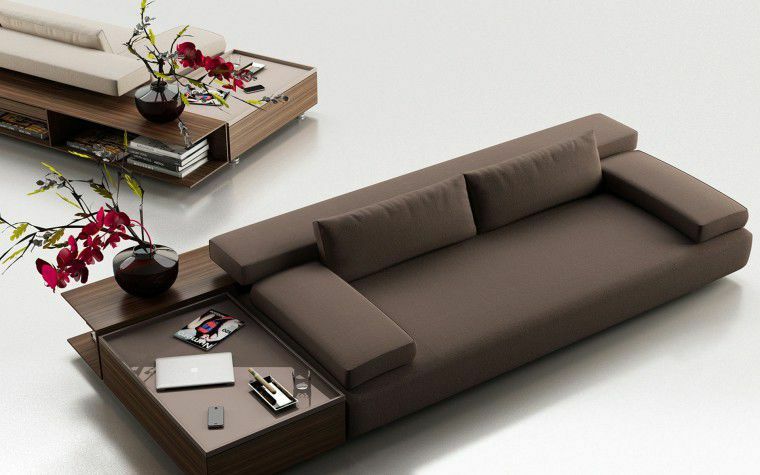 A new must-have.